Visually, the Golf wagon follows the styling of the current Volkswagen “design DNA”. Clear horizontal lines and bold styling of the headlights define its appearance. And so the bumper, radiator grille, bonnet and guards and highlights were all transferred from the new Golf. The design is characterised by a black, horizontally styled grille and body-coloured bumpers. In its lower front section, the wagon also has an additional large air intake. Starting with the Comfortline version, chrome inserts are integrated in the radiator grille. 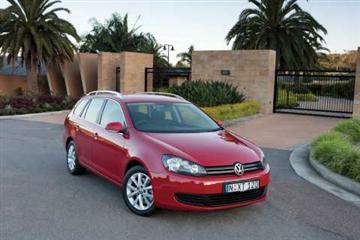 The Golf wagon also preserves the car body’s excellent layout and high level of everyday utility. The development team focussed on perfection in the details. Attaining the best possible acoustic properties on the wagon was a top priority for Volkswagen. In this context, the body was equipped with new detailed solutions in a variety of areas. Highly effective acoustic damping is implemented in the windscreen, which eliminates nearly all high-frequency noise in the three kHz range that is very typical in vehicles with diesel engines. In addition, many secondary noises have been eliminated or reduced right at their source. In particular, this was achieved in all belt drives, the turbocharger and charge air distribution channels as well as in the heating and cooling blower. Noise comfort has been further improved by a new generation of turbo-diesels with common rail injection, as well as integration of TSI petrol engines that are known for their quiet operation. 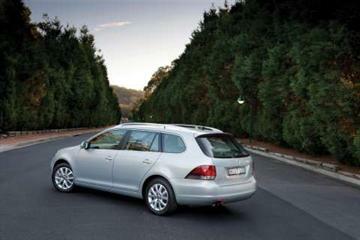 The VW Golf wagon is being offered with a seamless package of safety features as standard equipment. On the passive side, there is a safety body (including optimised pedestrian protection), six airbags and a patented head restraint system for driver and front passenger. The driver and front passenger airbags and safety belt system together form a precisely coordinated front restraint system on the wagon. The side airbags are integrated in the backrests of the front seats. They protect the chest, abdomen and pelvis and have been optimally tuned to the car’s more rigid side structure. Integrating the side airbags in the backrests assures optimal airbag positioning in relation to the driver and front passenger. Furthermore, standard head airbags help to prevent high biomechanical loads to the head. Specifically, these airbags cover an area along the side windows extending from the A pillar to the C pillar, offering maximum protection at all seating positions regardless of body size. That is because protection over a large area prevents the head and extremities from swinging out and prevents objects from penetrating into the car’s interior. Since the head airbags remain inflated for a long time, they even retain much of their effectiveness in secondary collisions such as in the case of a rollover accident. The Golf wagon demonstrates tremendous quality. The high quality of the materials that are used is especially evident in the interior. This high level of value is a common thread running through the interior, especially when it comes to the car’s instruments. The look and feel of the materials, details such as brushed chrome accents and the round instruments and steering wheels taken directly from the Passat CC all leave the impression that one is actually sitting in a vehicle of the next higher market segment. The interior ergonomics also reflect advanced development. All of the car’s functional components are easy to operate. These include controls for the climate control system where fitted (Climatronic) - initially introduced on the Passat CC. Sometimes it is the smallest of details that make the greatest impression. Consider the leather seats: robust leather is being used in the Golf wagon. Its surface properties make dye transfer, such as from jeans, passé even with very light-coloured leather. The instrument panel of the VW Golf wagon offers a clear, well organised geometry with uncompromising ease of operation and a high level of timeless elegance. On initial contact, one is immediately impressed by the luxurious soft materials of the upper cockpit area and door trim that complement the design of the instruments. The instruments of the Volkswagen Golf wagon match the instrument styling in the new Golf. Prominently displayed are the two round instruments with brushed chrome bezels, which are standard; the tachometer is on the left, and the speedometer on the right. Also designed as a round instrument is the engine temperature gauge; it is integrated in the lower part of the tachometer. Its counterpart is the fuel gauge integrated in the speedometer. Gauge scale markings are backlit in white (regardless of whether the headlights are on or off); while turn signal indicators are in red. Also designed in white now are the graphics of the multifunction display (MFD) – located between the tachometer and speedometer – which is standard equipment. An upshift indicator is integrated in the MFD on manual equipped models with either a diesel or petrol engine. Like the main instruments, air vents near the instrument cluster also have brushed chrome bezels. There is one vent at each end of the instrument panel for driver and passenger, and two in the centre. In addition, a vent for the side windows is integrated in each of the A-pillar trim panels. Complementing the chrome bezels, the upper and lower sections of instruments are separated by dark silver accents (“Titanium”) on the “Trendline” version. In the “Comfortline” equipment version the accents areglossy black (“Black Pyramid”). All of the controls arranged on the centre console are readily and equally accessible to driver and front passenger. Right at the top is the hazard flasher switch, optimally located between the air vents. On the level below this, there is the audio or radio navigation system. The third level of controls contains interfaces to the heating and ventilation or climate control system. Another set of switches is located directly in front of the gearshift lever for activating or deactivating systems such as ESP and “Park Assist”. If the Volkswagen Golf wagon is equipped with an automatic climate control system (Climatronic), a new set of controls is provided. There are two control knobs, one on the left and one on the right, for selecting temperatures in 1 degree increments separately for driver and passenger sides. They are also used to activate seat heating. Naturally, the temperature for the two sides can be controlled jointly too. The main operating modes of the Climatronic (“Auto”, completely “Off”, “Dual”, “AC”) and blower levels are set in the area between the two control knobs. Located in the upper area are controls for ventilation modes, rear window heating and recirculation functions. Further down the centre console, at the height of the handbrake lever, are the familiar storage compartment and an AUX-IN port that can be used to connect devices such as an MP3 player. The optional Media Device Interface (MDI) port can also be integrated in the storage compartment of the centre armrest. This USB port is used to interface to a wide variety of memory sources for the audio system. For example, an iPod – including its special control functions – can also be integrated in the system as a music source with a suitable cable. Volkswagen is offering the Golf wagon in a range of different seat configurations, depending on the equipment line. The “Trendline” (base version) already has excellent contoured seats in black cloth upholstery. The comfort seats of the Golf wagon “Comfortline” are now designed to be even more ergonomic. The cross-stitched fabric of the seat and backrest surfaces provides a clear visual contrast to exterior surfaces. The latest generation of the best selling five-seater offers exceptionally spacious conditions. In front, the maximum interior height is 972 millimetres (seat in lowest position). The rear seating area offers a maximum interior height of 969 millimetres, depending on the version. The VW Golf wagon is a compact space wonder. When the cargo partition net is installed and cargo is loaded up to the height of the top of the rear bench seatback, the wagon provides up to 690 litres of load volume; up to the load sill at window height it is a maximum of 505 litres. When the rear bench seat is folded down and the interior space is fully utilised, up to 1,495 litres of cargo volume can be stowed in the Golf wagon. When the rear bench is folded, the continuous flat cargo area of the Volkswagen Golf wagon up to the driver’s backrest measures 1.70 metres. Bins offer storage space under the cargo floor and in the side panelling. Even when the standard factory-installed asymmetrical split bench is not lowered, a respectable 1.07 metres of cargo length is still available. Maximum width: 1.29 metres. Interior width between wheel wells is 1.01 metres. Operating the asymmetrically split rear bench seat is easy. Release buttons next to the outer head restraints disengage the backrests from their anchorages so that they can be folded forward. A clever detail is a red indicator, visible from the front seats too, that warns if one of the two rear backrests is not fully engaged when lifting the seatback up again. Interior variability is also enhanced by the centre armrest in the rear seating area, which is standard equipment in the Comfortline version. When folded down, it provides an especially large pass-through to the cargo area, making it easy to stow long and bulky sports equipment such as paddles or skis. To prevent cargo from shifting into the passenger area during a collision or hard braking, the Golf wagon is equipped with a cargo partition net. Normally, it is installed behind the rear bench seat. However, when the rear backrest is folded forward, the net can be anchored near the front backrests. Providing for additional cargo safety are four tie-down eyes located on the right and left side panels in the cargo area, and at the front of the cargo area. When they are not in use, they can be folded away without leaving any corners or edges protruding. Smaller thin objects will also fit in the storage bin beneath the variable cargo floor. Just as practical: The special bag hooks that fold out from the side panelling of the cargo area. They are standard equipment and can prevent shopping bags from spilling their contents into the cargo area while driving. As a special equipment option Volkswagen is offering a newly designed panoramic sunroof. With a length of 1.36 metres and width of 0.87 metres, its transparent surface spans a large section of the interior, providing a pleasant, light-filled ambiance. 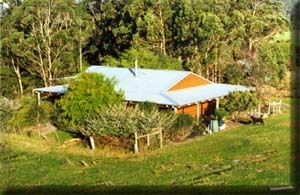 The roof consists of two halves; the front section can be raised or fully opened. To preserve full interior height, the section that opens is driven out above the closed section of roof. An electrically-powered sunshade offers protection from intense sunlight. Volkswagen is offering the Golf wagon with two petrol and two diesel engine options. Their power ranges from 77 kW to 118 kW. As in the new Golf hatchback, the latest generation of common rail turbo-diesels (TDI) is used in the Golf wagon. The petrol engines are available in two outputs, 90 kW and 118 kW. Clearly, the petrol engines are pioneers in fuel efficiency. Once again, the TSI engines are taking the stage as prime examples of efficiency: the new Golf 1.4 TSI with 90 kW consumes just 6.2 litres (DSG) of Premium (95) Unleaded Petrol (144 g/km CO2) in combined cycle. Even the new 118 kW top version of the 1.4 TSI attains a combined consumption figure of just 6.3 litres on the combined cycle. The turbocharged TSI with 90 kW is one of the most advanced petrol engines in the world. There is hardly another petrol engine that can match its impressive power curve with such fuel efficiency. In the manual Golf wagon, the four cylinder direct injection engine requires just 6.7 litres of fuel per 100 kilometres (156 g/km CO2). A six speed gearbox is standard with this engine. The Golf wagon 1.4 TSI with 90 kW is even more fuel efficient when shifted via the optional 7-speed DSG; this configuration yields a combined fuel consumption of 6.2 litres (144 g/km CO2). The car’s fuel efficiency contrasts with its excellent driving performance. Like all engines of the Golf wagon, this TSI also fulfils the Euro-5 standard. * This highly praised and award-winning engine develops its peak power of 90 kW at 5,000-5,500 rpm. The engine’s maximum torque of 200 Newton-metres is available over a broad speed range extending from a low 1,500 to 4,000 rpm. As the most powerful petrol engine in the Golf wagon, Volkswagen uses a four cylinder that is both turbo- and supercharged and has a power of 118 kW (at 5,900 rpm). Of special interest here is the engine’s specific power: the 1.4 litre engine attains 84.3 kW per litre displacement. Its maximum torque of 240 Newton-metres is available between 1,750 and 4,500 rpm. Like the 90 kW, this engine is also exceptionally fuel-efficient. The 118 kW TSI attains a top value in savings at 6.3 litres per 100 kilometres (equivalent to 148 g/km CO2). * Emission level according to European Regulations (EL) No. 715/2007 and Regulation (EL) G92/2008. As seen in the new Golf, Volkswagen has converted all TDI engines over to 16-valve common rail engines with 1.6 and 2.0 litre displacement. Besides their economy and agility, the new TDI engines also distinguish themselves by their low-noise properties. Two balancing shafts on the 103 kW version put an end to undesirable vibrations too. In addition, a new engine bearing design ensures that the engines are better isolated from the car body. Volkswagen will be offering the 7-speed DSG as an option on the 77 kW version. The 103 kW version comes standard with 6-speed DSG. Technically, the 1,598 cm3 TDI sets the highest standard in its market segment. Via the common rail system, the diesel fuel is injected directly into the combustion chamber at a pressure of 1,600 bar. Special piezo actuators control the multiple injections and fuel quantities with maximum precision. To reduce internal engine friction as much as possible, the crankshaft, valve and oil pump drives were optimised. A square stroke/bore ratio minimises friction losses at the cylinder liners. Furthermore, losses in the flow of oil and coolant were reduced, and frictional losses were reduced in air induction and charge air flows. This has resulted in a TDI line-up that offers uncompromisingly low fuel consumption and emission values without lacking even the slightest in comfort or dynamic performance. Its exceptionally high maximum torque of 250 Newton-metres lies between 1,900 and 2,500 rpm, which promotes an effortless, economical style of driving. Combined fuel consumption for the new engine aboard the Golf wagon TDI is an excellent low 4.7 litres of diesel per 100 kilometres (124 g/km CO2). With a 7-speed DSG, these values are 5.2 litres and 135 g/km CO2. The 103 kW TDI is also exceptionally fuel efficient and comes standard with a 6-speed DSG transmission. Driven by this engine, the Golf wagon only needs 5.7 litres of diesel to cover a hundred kilometres (149 g/km CO2). In addition, the TDI shines at practically every engine speed with categorically high torque; it already delivers its maximum torque of 320 Newton-metre starting at 1,750 rpm and holds it constant up to 2,500 rpm. Fuel induction in the large direct injection turbo-diesel engine is handled by the latest generation common rail system. Up to 1,800 bar injection pressure and special eight-hole injection nozzles deliver especially fine atomisation of the diesel fuel. The eight-hole injection nozzles are controlled by the latest generation of piezo inline injectors. Electrically-controlled piezo crystals, assisted by a hydraulic element, inject fuel in fractions of a second. Compared to conventional solenoid valves, piezo technology enables more flexible injection processes with smaller and more precisely metered fuel volumes. The benefit: a very quiet and pleasantly smooth running engine, exceptional responsiveness and low fuel consumption and emissions. Also having a positive effect on acoustics is the completely maintenance-free toothed belt drive of the camshaft. Thanks to the conversion to common rail technology and numerous other acoustic measures such as a noise-damping film in the windscreen, both Golf wagon TDI versions are among the quietest diesel models in their class. All TDI and TSI versions of the Golf wagon are available with the well proven and highly respected Direct Shift Gearbox (DSG). Depending on the torque of the engine, the Golf either gets a 6-speed or 7-speed DSG. The extremely efficient and agile DSG is completely supplanting the classic torque-converter automatic in the Golf. DSG is standard on the Golf wagon 118 TSI Comfortline and the 103 TDI Comfortline. Both DSG versions are characterised by maximum economy and dynamic shifting unlike that of any previous transmission. Besides their different numbers of forward gears, the two DSGs differ technically in their clutch type. While two dry clutches are used in the 7-speed DSG, the dual clutch of the 6-speed DSG runs wet in an oil bath. True of both transmissions: even the most experienced professional drivers cannot even approach the shifting speed of either DSG version. Another fact: more than any other automatic, the dual clutch transmissions have the potential to reduce fuel consumption and thereby emissions. The two DSG variants are each specialists in their applications. While the 6-speed DSG shines when paired with torque strong engines (up to 350 Newton-metre), the 7-speed DSG is especially effective in combination with smaller engines (up to 250 Newton metre). The Volkswagen Golf wagon is available in the two equipment versions - Trendline and Comfortline. Always standard in both versions are six airbags, the ESP electronic stabilisation programme and a multifunction trip computer. Moreover, there are specific details that distinguish each version. The entry version even offers a considerable array of standard features. The new model is distinguished by standard features such as the multifunction display (trip computer), visible tailpipes, “Titanium” decorative accents, daytime running lights integrated in the headlights, dual-tone horn, ESP, door handles and door mirror housings painted in body colour and the semi-automatic “Climatic” climate control system. Other standard features include electric windows (front and rear), remote central locking, cargo area lighting, various storage compartments including one in the roofliner, electrically adjustable and heated door mirrors and roof rails. The differentiating features are even more distinctive on the Golf wagon Comfortline. Above and beyond “Trendline” items, the additional features that now underscore the high-end character of this version include 16-inch alloy wheels, comfort front seats, a chrome light switch, new decorative inserts (“Black Pyramid”), chrome trim strips on the side windows, chrome roof rails, chrome frames around the horizontal radiator louvers, leather for the new three-spoke multi-function steering wheel, leather gearshift knob and handbrake lever. Volkswagen is offering the Golf wagon with two radio systems and one navigation system. Hands-free telephone units can be added to any of the infotainment systems. There also is an optional USB port (Media Device Interface). 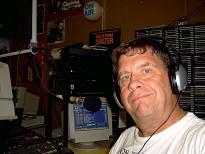 All radio and radio-navigation systems have a MP3-capable CD player. The radio systems carry the designations RCD310 and RCD510; their counterpart with an additional navigation system is the RNS510. A rear view camera integrated in the tailgate can also be interfaced to the RCD510 and RNS510 units. The RNS510 utilises a 30 GB hard drive for navigation and entertainment. The RCD510 and RNS510 are also equipped with a user-friendly touch-screen. This colour screen measures five inches (400 x 240 pixels). Furthermore, the RNS is equipped with a SD card slot and a dual tuner. The SD card can be used to save MP3 files for music reproduction. The “Park Assist” parking assistance system being offered in the VW Golf wagon is an example of high-end technology. The system is capable of nearly automatic reverse parking in parallel parking spaces that are just 1.1 metre longer than the vehicle. The driver just needs to operate the accelerator, brake and clutch; meanwhile, the Golf wagon steers into the pre-measured space, guided by sensors. Whenever the steering process is interrupted by manual steering, “Park Assist” is deactivated. The intuitively operated system is started by pressing a button located right in front of the gearshift knob. While driving down the road at speeds up to 30 km/h and at a distance of 0.5 to 1.5 metres from other parked cars, ultrasonic sensors detect all parking spaces aligned with the roadway on either the left or right (depending on the turn signal direction that is set), and a control module computes the ideal parking path. “Park Assist” communicates the starting position to the driver via the multifunction display. Then the driver shifts into reverse gear. Now appearing on the display is the message “Steering control active! Watch your surroundings!” The driver only needs to accelerate, apply the clutch and perform braking during the rest of the parking process; the steering is handled by the Golf wagon. As soon as the parking sensors switch to a continuous signal at the rear, this indicates that the optimal distance to the next vehicle has been reached (approx. 20 centimetres). If the speed is excessive and/or the driver makes any sort of steering wheel movement, “Park Assist” is instantaneously deactivated. Generally, the entire parking process after shifting to reverse gear takes only 15 seconds. The Volkswagen Golf wagon will also be available with a rear view camera. As soon as the reverse gear is engaged, the camera integrated in the tailgate monitors the space behind the Golf wagon. The system can be ordered in conjunction with the touch-screen radio and radio-navigation systems RCD510 and RNS510. Camera images are transmitted to the touch-screen as real-time images. The path steered is also shown by orientation lines on the screen. Even the smallest of obstacles are easy to recognise with the rear view camera, and the tightest of parking spaces can be mastered with millimetre accuracy. The system also simplifies the process of hooking up trailers. The camera itself has a wide-angle lens. Horizontally, it acquires objects over an angular range of 130 degrees, and vertically over a range of 100 degrees. NOTE: * Prices are manufacturer list prices only and specifically exclude dealer delivery and the various statutory charges.